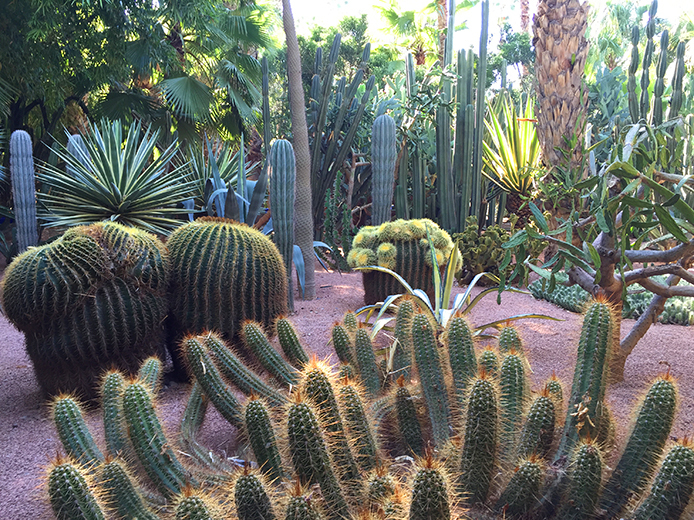 Jardin Majorelle in Rue Yves Saint Laurent is not a sight to be missed when you’re in Marrakech, Morocco. 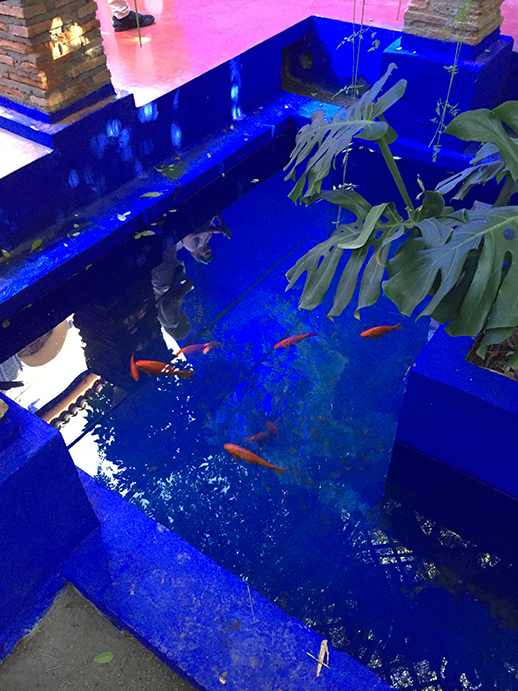 Translated as the “Majorelle Garden”, the space also includes the Villa Oasis and the Musée Berbère. 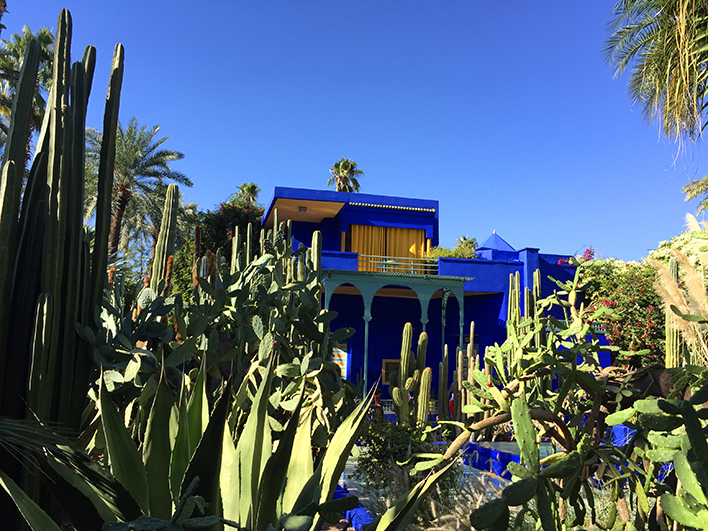 Owned by French artist Jacques Majorelle in the 1920s, the garden continues to exist today as one of Marrakech’s most beautiful attractions. Designed by architect Paul Sinoir in 1931, the villa’s design is a fusion of cubism and Moorish-inspired architecture. Moorish motifs can be observed in the arches, the tiles, and the intricate patterns in some areas of the villa. The exterior is enveloped in its signature electric-blue shade, trademarked as Majorelle Blue. 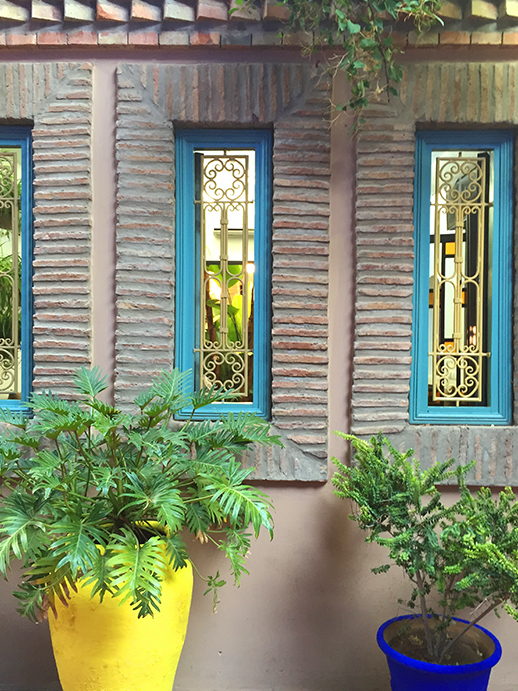 In 1937, Majorelle began to paint the villa, the gates, the pots, and the tiles with this specific tint of blue. This vibrant shade is said to evoke Africa through the color’s strength and intensity. 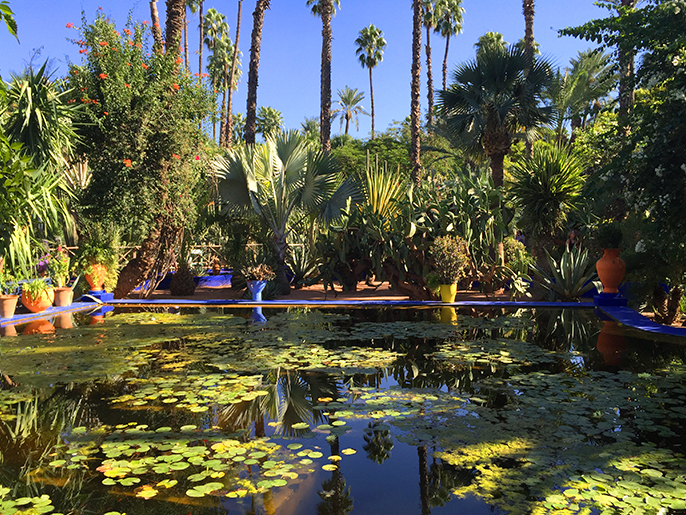 Majorelle was passionate about botany and gardening and bought the four-acre property in 1923. He brought plants from his travels around the world and cultivated them in his property, creating a biodiverse garden with plants from five continents. 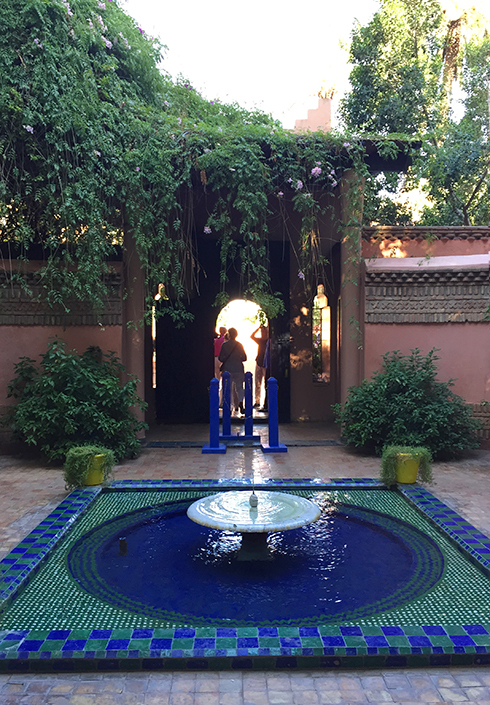 Throughout the decades, his garden has been preserved thanks to Moroccan ethnobotanist Abderrazak Benchaâbane. The property is also well known for being owned by fashion designer Yves Saint Laurent and his partner, Pierre Bergé. They discovered the place in 1966 and immediately fell in love with it. Due to Majorelle’s death in 1962, the garden was abandoned and almost demolished for a new hotel. Thankfully, Saint Laurent and Bergé bought the property in 1980 and restored it back to its former glory. They kept the color and design of the villa but renamed it the Villa Oasis (previously called the Villa Bou Saf Saf). 165 new plant species were added in 1999 accumulating to a total of 300 plant species in the garden. Saint Laurent and Bergé also opened the Berber Museum featuring their private collection of Berber artifacts. When Yves Saint Laurent died on June 1, 2008, his ashes were scattered in the rose garden near the villa. 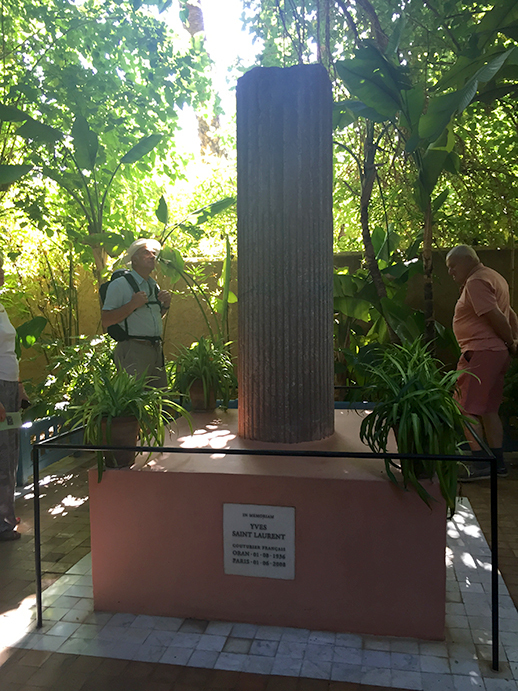 A Roman pillar from Tangier is displayed there as a memorial for the departed designer. Furthermore, the street beside the garden was renamed Rue Yves Saint Laurent in 2010. In October 2017, Fondation Pierre Bergé-Yves Saint Laurent will open the Musée Yves Saint Laurent in the garden highlighting Morocco’s influences on Saint Laurent’s work. The building will be designed by French architecture firm Studio KO. As a big fan of Yves Saint Laurent, I’m very glad that the museum will be open when I’m there in the future. Morocco is a visual delight for all kinds of creatives, offering inspiration everywhere you look. 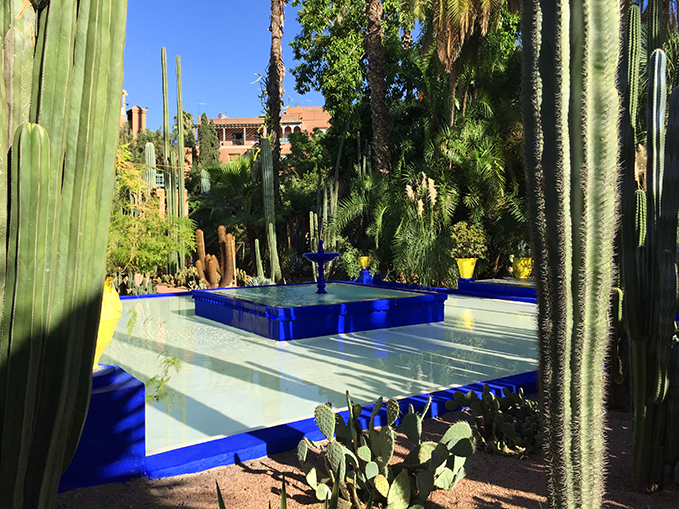 It is evident enough from the way it inspired this masterpiece, the Jardin Majorelle.